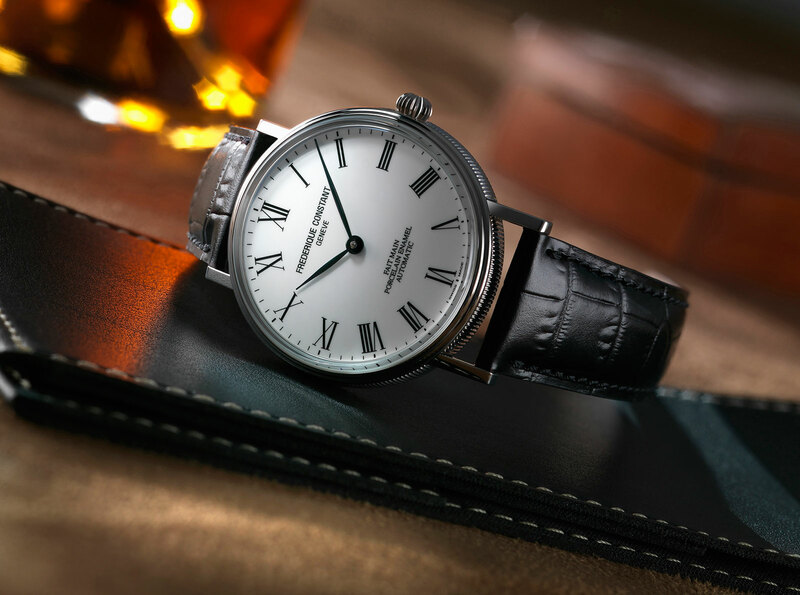 Months after Frederique Constant unveiled the aggressively priced, US$7500 perpetual calendar wristwatch at Baselworld 2016, the brand has just revealed an unusually affordable – priced at just over US$2000 – porcelain dial wristwatch. 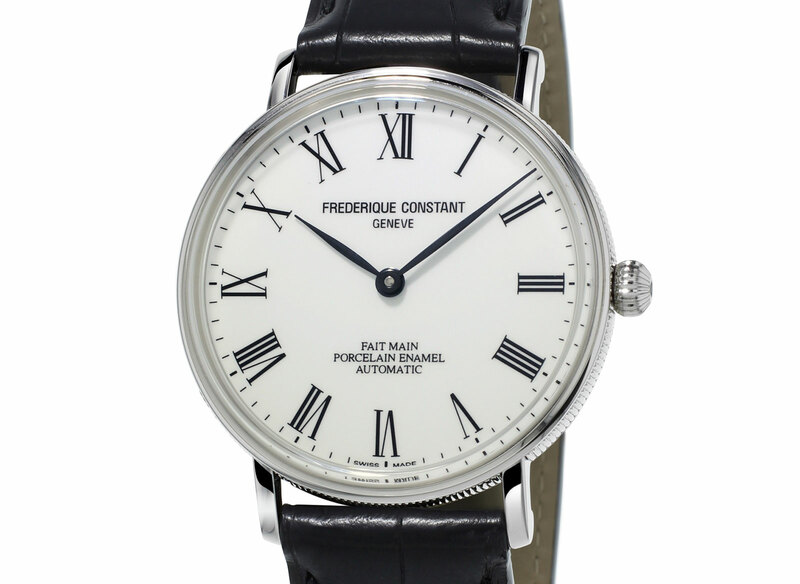 Geneva-based Frederique Constant turned to Zsolnay Porcelain Manufacture to create the Art of Porcelain, a wristwatch that’s affordable despite the unusual dial. Founded in 1853, Zsolnay is sited in south-west Hungary and specialises in ceramic products, including porcelain and tiles. While vitreous or grand feu enamel that’s often used for watch dials is made of melted glass, porcelain is largely made of kaolin, a clay mineral. Porcelain is an uncommon material for watch dials, though it has been used before, notably by Glashütte Original, which used Meissen porcelain dials in the past. 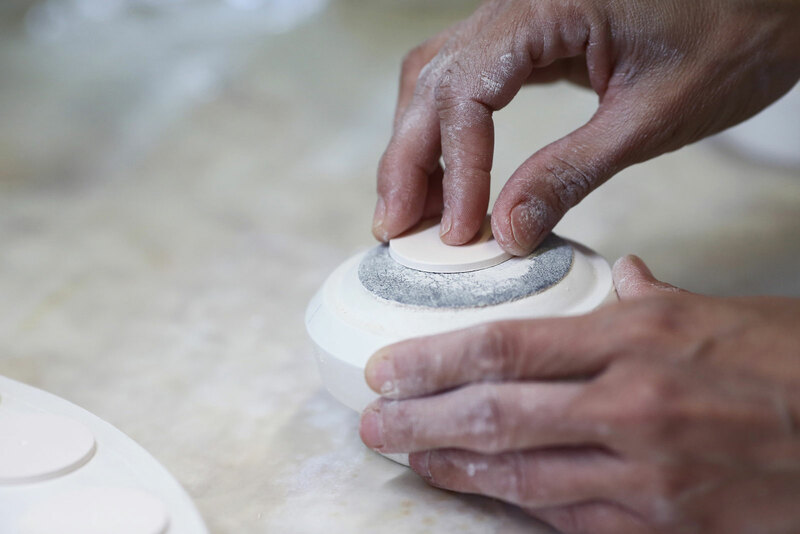 The same material that’s used to make fine chinaware, porcelain has to be fired at high temperatures in an oven, leaving it hard and resistant. It’s usually unglazed, resulting in a slightly glossy finish that gives the Art of Porcelain wristwatch a restrained look. A stark white with printing numerals and markings, the dial is produced and finished by hand at Zsolnay; fait main translates as “hand made”. Stainless steel and 40 mm in diameter, the case is simple in form, with fluted sides being the only decorative element. It’s fitted with the self-winding FC-302 movement, a basic calibre that Frederique Constant makes in-house. The Art of Porcelain is limited to 188 pieces, with a retail price of US$2195 or €1895.